Days of Our Lives Spoilers: Another Mysterious Return And It ISN'T Will Horton! 'Days of Our Lives’ spoilers tease that another mysterious return other than the return of Will Horton [Chandler Massey] is coming up. In a recent interview with Soaps.com, Camila Banus who plays Gabi Hernandez spoke of several things including the return of Chandler Massey as Will. When asked if the character is dead or alive, Banus replied, “Aha, that’s for everybody to find out! There’s also a mysterious character coming back as well that nobody knows about.” And, it didn’t stop there – another clue was given, the mysterious person returning is a man and will be the person that ushers in Chandler as Will! So, who could it be? Could it be EJ DiMera? 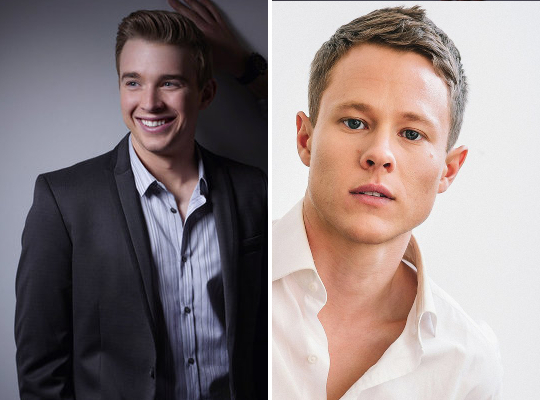 Or, could it be the tale of two Wills – Guy Wilson and Chandler Massey? Tune in to 'Days' to see what happens in September! Soap Opera News: Days of Our Lives Spoilers: Another Mysterious Return And It ISN'T Will Horton!